Get alerts when a door opens or motion detected at home. Wander Alert Motion and Door alarms for dementia, Alzheimer’s and memory loss are now made by the smpl™. Wandering seniors is the primary fear for any caregiver. Caregivers receive sound and vibrating alerts when a door opens or motion is detected in a hallway or room. Wireless motion and door alarms for dementia patients are a preferred solution since the portable alarm alerts the caregiver wherever they are situated in and around the home and does not startle the care recipient. Senior door alarms, designed for the wandering elderly, are easy to install, do not require internet, Bluetooth or wiring, and no additional fees are required. 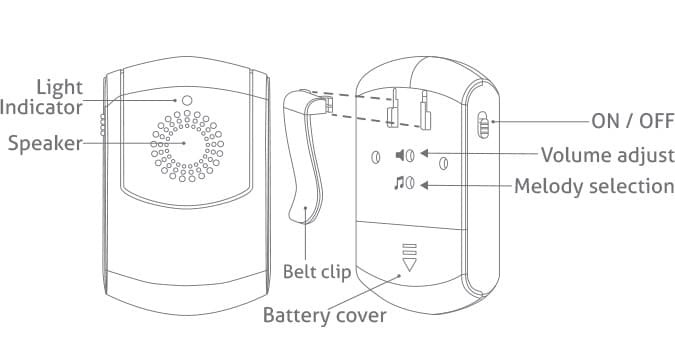 The portable alarm can be clipped on a caregiver’s clothing and set to ring and vibrate upon an infraction of the monitored doors or areas. 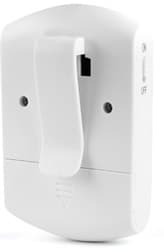 The alarm is battery operated and effective within 100-250 feet of the sensor (transmitter) installed on a door, window, cabinet or room/hallway. 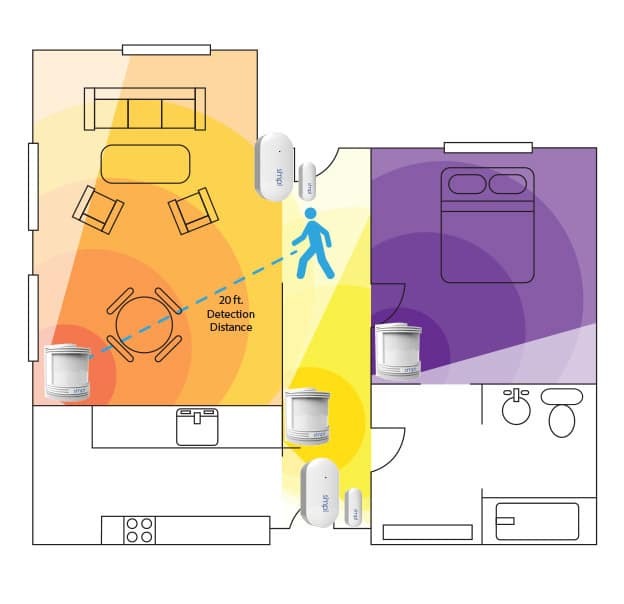 Additional smpl Door or Motion Sensors (up to 20 sensors) can connect with each alarm to expand coverage for increased safety. Additional alarms are also available for multiple caregivers, sold separately and in kits. 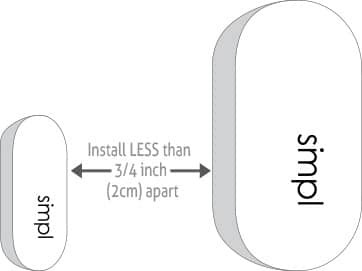 Hassle-free Wander Alert products are set-up and installed easily using the provided double-sided tape, and therefore portable if you need to change the installation location. The devices are already paired/connected right out of the box when purchased in kits. Purchased separately, connecting is accomplished in three easy steps. 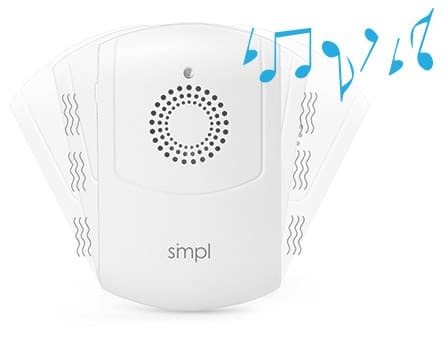 smpl’s dementia and Alzheimer’s sensors and alarms designed to prevent wandering are a practical, low cost solution to increase safety and peace of mind for caregivers/family members living at home. smpl Wander Alert – Monitor wandering for increased safety and peace of mind. Problems…solved. 2. Press the Melody Change button for 5 seconds to enter setup mode 3. Trigger the specific Sensor your setting up quickly and your all set! when magnet and sensor are separated by more than ¾ inch. 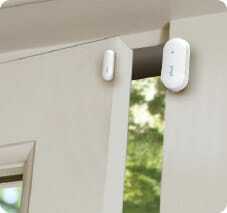 Motion Sensors are installed on a wall 3-4 ft. from floor in any room or hallway. Q: What is the smpl™ Wander Alert™ product line all about? 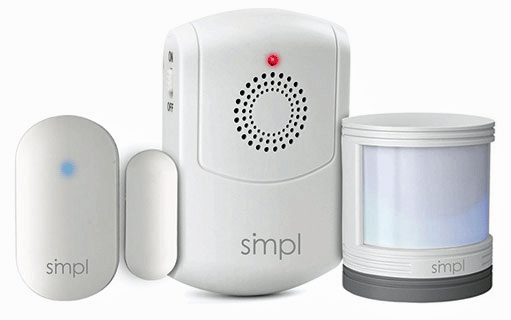 A: smpl Wander Alert products are easy to use and install door and motion sensors, and a portable alarm, to help caregivers and family members monitor a care recipients movements inside the home to help increase safety and peace of mind for all concerned. Caregivers receive infraction alerts when the Door and/or Motion sensors are triggered by motion. 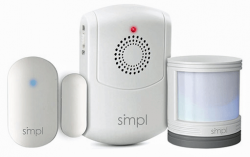 The smpl alarm is portable enabling the caregiver to receive alerts wherever they’re situated in or around the home (150-250 feet from the sensors). No Wifi, no monthly fee and easily installation (no wiring), and its an expandable system. Simply place the Door Sensor on any door, window or cabinet door in your home, or the motion sensor in any room or hallway in your home and you’ll get an alert on the portable Alarm phone when the sensors are triggered (infraction). Do I have to purchase the kit? Or can I buy it piece-by-piece? 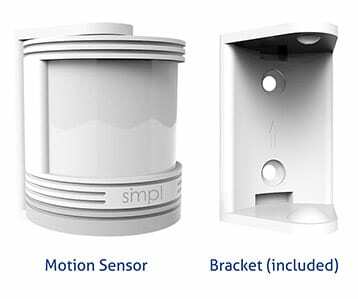 smpl Wander Alert products can be purchased in a kit or the sensors and alarm can be pouched separately to expand monitoring points or give alarms to additional caregivers . How do I control Alarm sounds? You can easily increase the volume or change the alarm melody by following a few easy steps in the User Guide. How long do the sensor batteries last? Alarm batteries? The Sensor pre-installed batteries last between 6 months and one year, depending on frequency of infractions. Alarm batteries also 6-12 months, depending on frequency of use. I have more questions- who do I contact? Please email support@smpltec.com or call 1-833-237-4675 x1 for technical; support. I purchased this to help my mother keep track of dad. It was easy to install and works nicely. Bought this for my mother. The instructions for installation is more than I thought it would but overall I am happy for the purchase and price. I like the item but had trouble mounting it. I am renting for 3 months and the door frame is not smooth. I used the adhesive so as not to damage the frame around the door. It did not stay stuck. Will find more double sided tape to make it work. Product was very easy to install and configure. Worked as advertised. I purchased this device to use as a bedroom door alarm that wouldn’t frighten my two year grandson who has just begun sleeping in his junior trundle bed. It was easy to install and it is nice to have multiple choice regarding the type of alarm chime. We are very happy with this purchase. My dad had wandered out of the house in the middle of the night and luckily he turned around and came right back in. But after that, we bought these door alarms. One for the front door, one for the door to garage. We were able to set different tones for each door so we know which door is being opened. Works great! The door alarm that I ordered was easy to install and was the perfect remedy for the problem. Works perfectly to let me know when my husband leaves the room.